Practical advice for members of the wedding party. Let’s talk about ideal times for wedding photos! Here’s some tips for choosing the perfect backdrop for your engagement session in Puerto Rico. 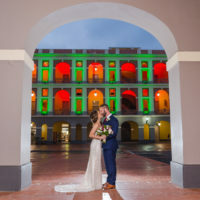 Everything you need to know to have a blast on your engagement session in Puerto Rico! Stay cool and refreshed during your great day! Avoid the most common “Oops!” moments. These questions will be really useful while making the booking decision!